If bigger is better then King crab is the best crab you can buy. The largest member of the spider crab family (spider crab legs are jointed backwards), King crab are often found marching in large herds across the flat plain-like stretches of the sea floor in shallow waters of the Bearing Sea from Southeast Alaska to Russia’s Kamchatka Peninsula. The crabs can grow to 6 feet from leg tip to leg tip, and weigh up to 10 pounds. 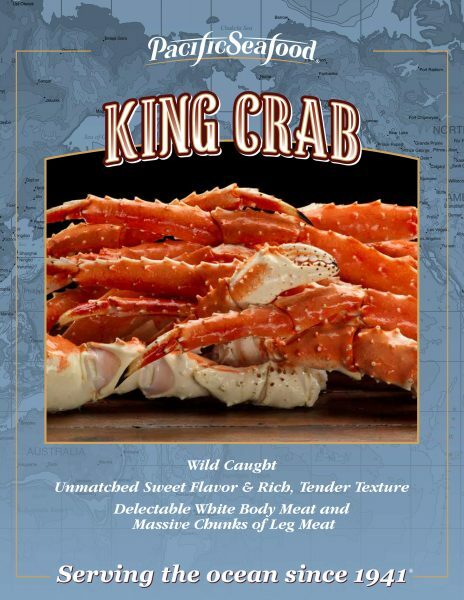 King crab is sweet, moist, rich, and a bit firmer than Dungeness crab meat. It is best straight from the shell dipped in warmed butter or cocktail sauce.